This is the first of a regular feature which will delve into the characters and buildings of our village and surrounding area. Who knows Holmes Chapel was the birth place of a world famous golfer, experienced its own ‘Great Fire’ in 1753 and saw significant change with the coming of the railways? Future articles will provide the answers. As this first article is being published in mid November, just after Remembrance Sunday, we have recalled one of the men lost during the Great War. David Elks was a wallpaper printer at the Holmes Chapel Wallpaper Works which was on the same site as Fads on Macclesfield Road. He joined the forces in 1917 and after that time was involved in the battles of France and Flanders. We know in October 1918 he was in hospital suffering from gas poisoning. Sadly, he returned to service immediately afterwards and was killed in action on 1 November 1918. He moved to Holmes Chapel in 1911 to join the work force at the new wall paper works having been in the same trade in Pendleton near Manchester. He left behind a wife, Edith, and two young children who were living at Church View. 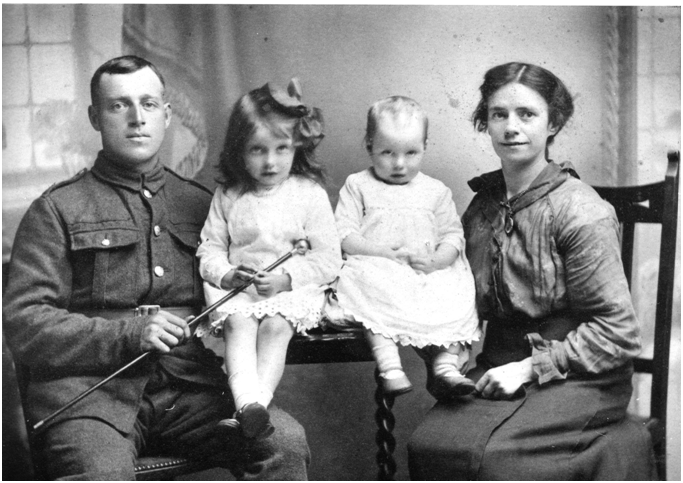 David Elks was only one of 225 men who were serving in the forces during the First World War with connections to Holmes Chapel. Of those, a total of 31 died during the conflict.